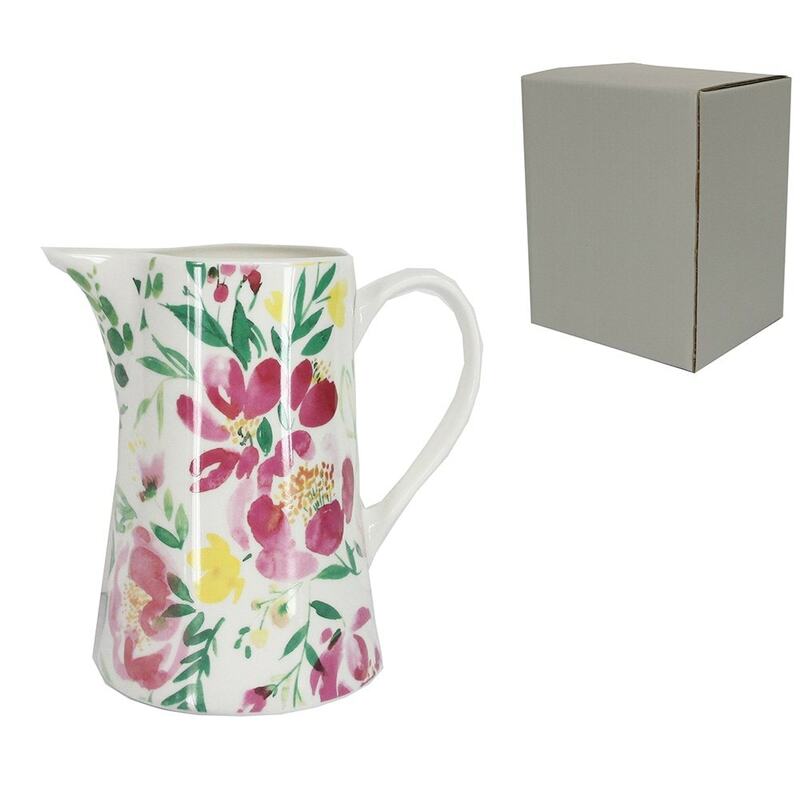 Pretty floral jug covered with vibrant peonies and sweet peas. 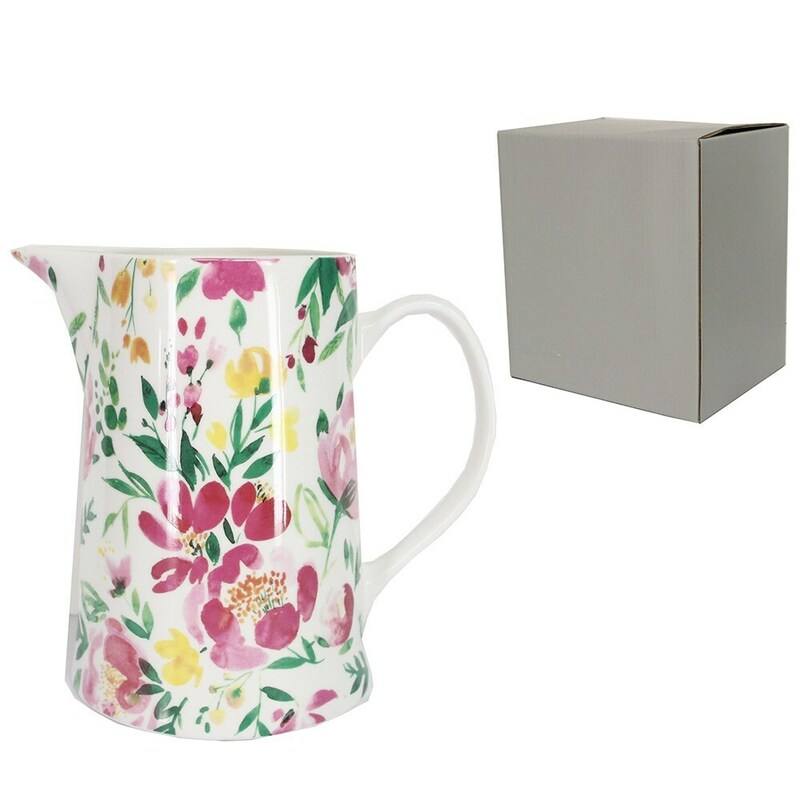 Perfect for holding a spray of spring flowers or pouring the milk into afternoon teas and coffees in the garden. Made from new bone china. Supplied boxed.